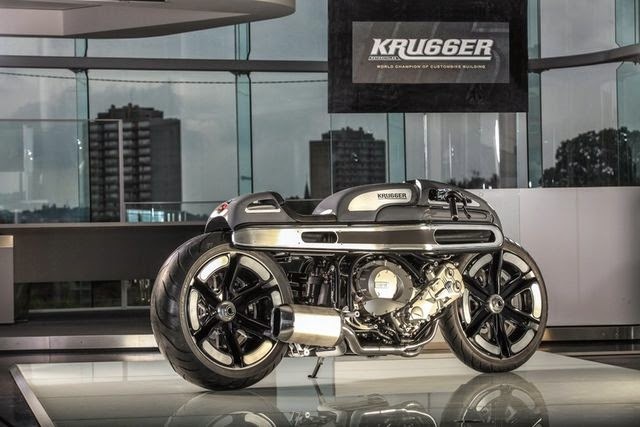 Krugger Motorcycles by relying on a modification of the BMW K 1600 got rid of 69 contestants from 22 countries who follow the AMD World Championship 2014, that held simultaneously at one location with the Intermot 2014, an International Motorcycle event in Cologne, Germany (from September 30 to October 5, 2014). And for Krugger Motorcycles this title is the second one after the title in Sturgis, USA in 2010. 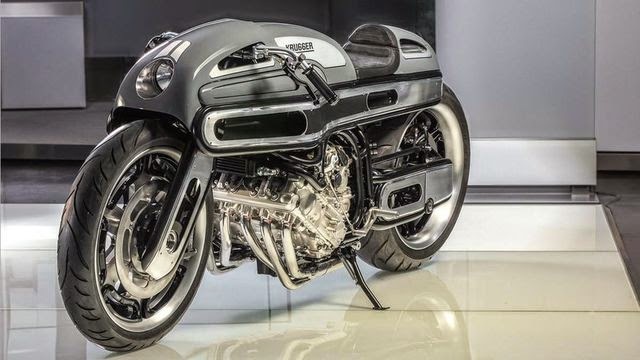 On the AMD World Championship 2014, this Belgian builder displays the future cafe racer called NURB (Non-Uniform Rational B-spline). 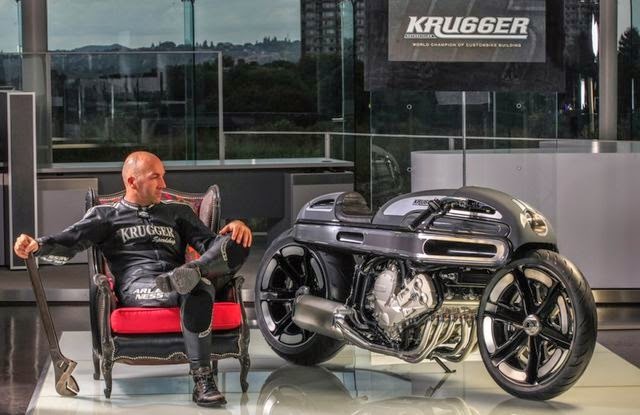 And Krugger Motorcycles claimed that the K 1600 technology were remains taken. "Make the bike is very easy. But make motorcycle with retaining all the K 1600 technology was more difficult. 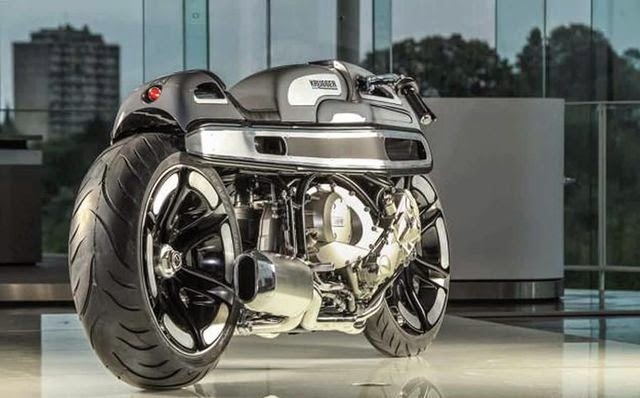 The most complicated problem is to apply the electronic components, from the computer to the ABS system, including the smallest sensors," said Fred Betrand, CEO of Krugger Motorcycles. A six-cylinder engine mounted on a motorcycle is by using a new model of tubular frames are made ​​together with a new swing arm. Duolever suspension was modified to leave a single model. Then the radiator is positioned on the side. "This shows the engine detail to be more visible with the main object is the curve of the six exhaust pipe." Said Fred Betrand, which also positioned the fuel tank under the seat. By combining the 1930s Art Deco style, construction of the body and the frame is made by the skilled hands of steel material and aluminum sheet. The builder said they did not use CAD technology. Even Fred Betrand himself cutting the aluminum sheet to the exact lines.